The motor driver piston metering piston pumps are usually used in agriculture to inject and measure precise amounts of liquid fertlizers into the irrigation system. head loss due to seal ring wearing are uncritical. The P SERIES is designed to handle the toughest applications. Plungers are made in AISI 316 or Ceramics. Pump body and head are in PVC to resist to chemicals used in agriculture. injected liquid has no solid suspended particles. 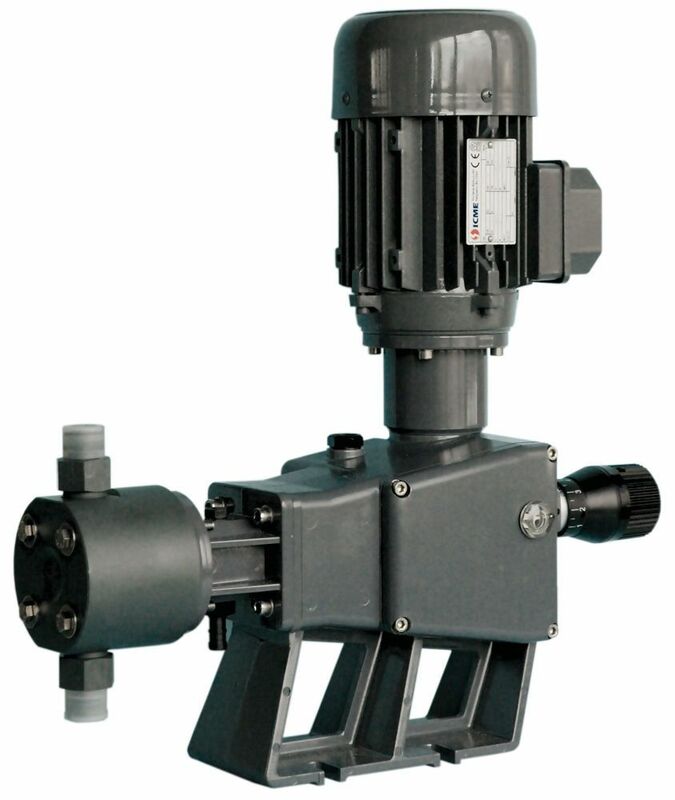 The ST-P SERIES offers a huge array of applications, especially with abrasive liquids. Manufacturing characteristics: compact design, spring return mechanism, oil-bath reducer, die-cast aluminium housing protected by epoxy/anti-acid paint. V-ring sealing, several elastomers available. The V-rings offer the best dynamic sealing, both with high temperature and corrosive media. ST-P SERIES piston diameters / couplings 16 - 30 - 48 mm - couplings ½" e ¾"